Also known as the “Venice of the North,” Amsterdam, the capital of the Netherlands, has more than 100 km of canals, about 90 islands and 1,500 bridges. Alongside the main canals are 1550 fascinating monumental buildings. They were constructed in the 17th century, during the “Golden Age” of the Dutch. 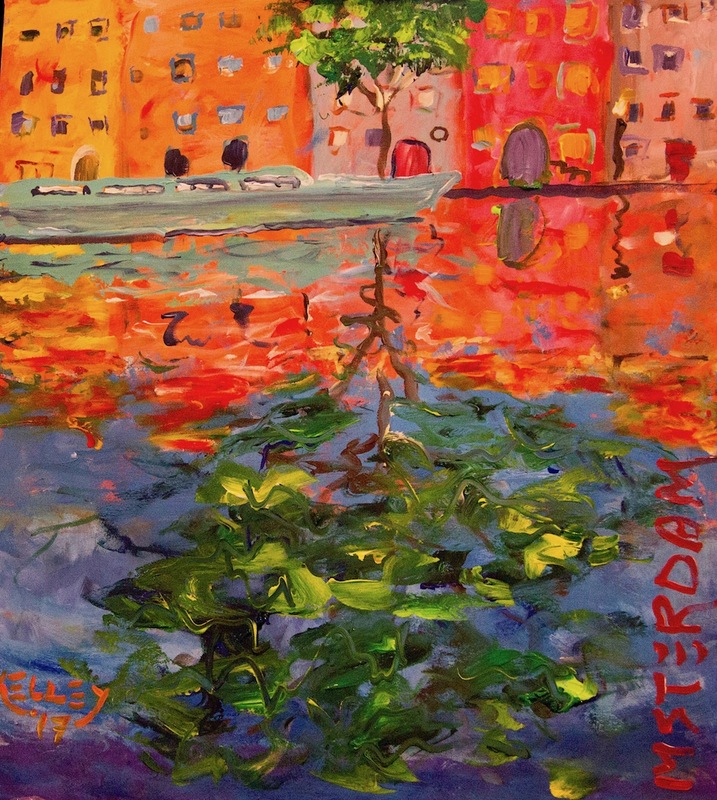 The reflections on the canals can be breathtaking, which is why I have painted several renditions of them. Details:Acrylic on stretched canvas. 60 x 75 cm • 23.6 x 29.5 inchesPrice:Sold. In a private collection in Tallinn, Estonia.